The ThinkSystem DS4200 supports up to 240 SFF drives with up to nine 2U DS Series external expansion enclosures or up to 264 LFF drives with up to three D3284 5U enclosures. It also offers flexible drive configurations with the choice of 2.5-inch and 3.5-inch drive form factors, 10 K or 15 K rpm SAS and 7.2 K rpm NL SAS hard disk drives (HDDs) and self-encrypting drives (SEDs), and SAS solid-state drives (SSDs). 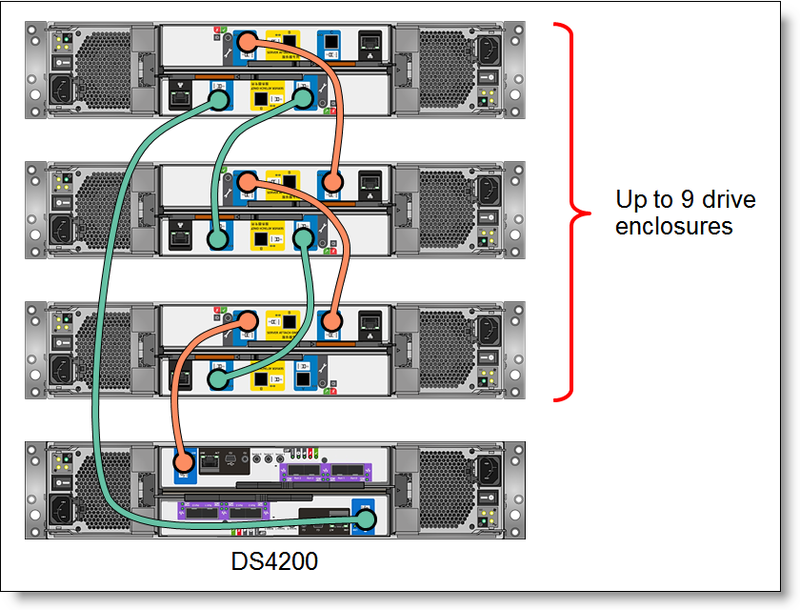 The DS4200 can be scaled up to 3 PB of raw storage capacity. 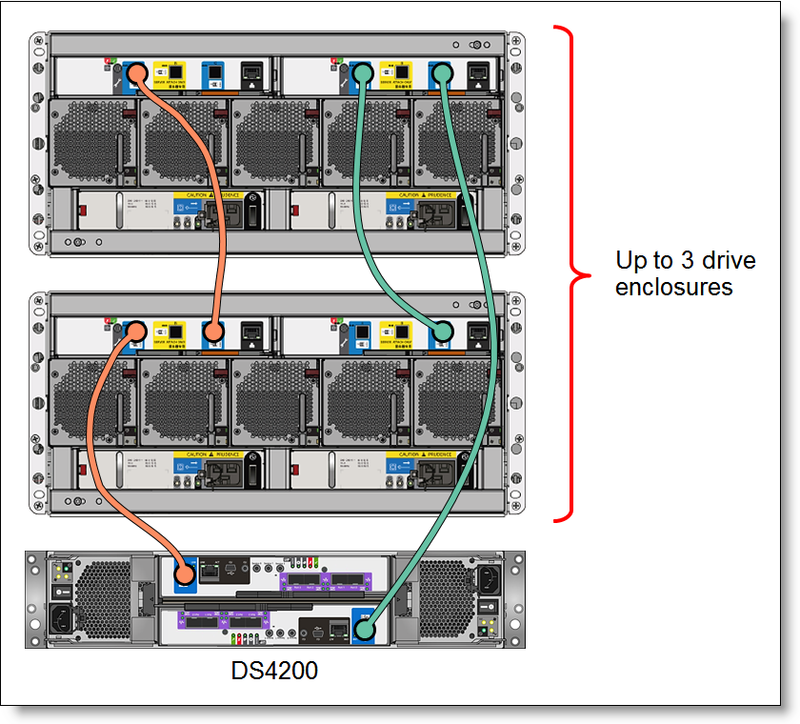 The Lenovo ThinkSystem DS4200 enclosures are shown in the following figure. Versatile, scalable entry-level storage with dual active/active controller configurations for high availability and performance. Flexible host connectivity to match diverse client needs with support for 12 Gb SAS (SAS controller module), or 1/10 Gb iSCSI or 4/8/16 Gb Fibre Channel connectivity (FC/iSCSI controller module), or both iSCSI and FC at the same time. 12 Gb SAS drive-side connectivity with support for 12x 3.5-inch large form factor (LFF) or 24x 2.5-inch small form factor (SFF) drives in the controller enclosure; scalable up to 120 LFF drives per system with the attachment of ThinkSystem DS Series LFF expansion units (12x LFF drives each), or up to 240 SFF drives per system with the attachment of ThinkSystem DS Series SFF expansion units (24x SFF drives each), or up to 276 drives (24 SFF and 252 LFF) or 264 LFF drives per system with the attachment of Lenovo Storage D3284 high-density expansion units (84x LFF drives each) to satisfy growing needs for storage capacity and performance. Certified Enterprise Storage for SAP HANA Tailored Data center Integration (TDI). Certified storage for Oracle VM. The ThinkSystem DS4200 supports the complete range of data storage requirements, from highly used applications to high-capacity, low usage applications. Up to nine ThinkSystem DS Series or up to three D3284 expansion units are supported by a single ThinkSystem DS4200. Customers can intermix 3.5-inch and 2.5-inch DS Series expansion enclosures behind a 3.5-inch or 2.5-inch controller enclosure. This configuration delivers the added flexibility to mix 3.5-inch and 2.5-inch drives within a single system (but not within the enclosure). More drives and expansion enclosures are designed to be dynamically added with virtually no downtime, which helps to quickly and seamlessly respond to ever-growing capacity demands. Note: D3284 expansion units cannot be intermixed with the DS Series expansion units. The following figure shows the front of the ThinkSystem DS4200 SFF chassis and the DS Series SFF expansion unit. The following figure shows the front of the ThinkSystem DS4200 LFF chassis and the DS Series LFF expansion unit. 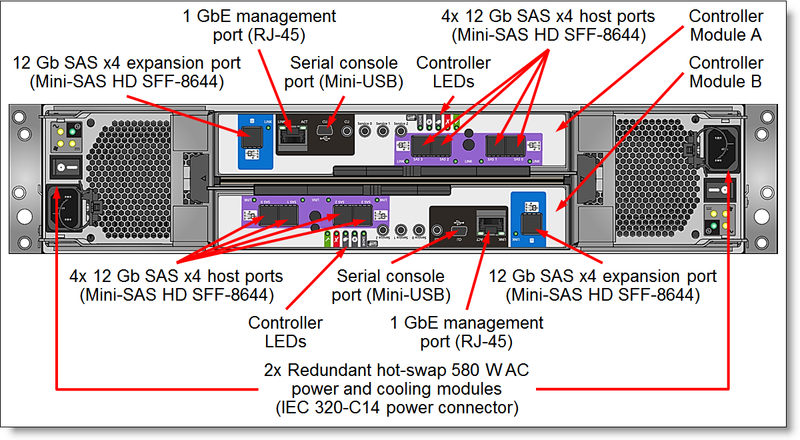 The following figure shows the rear of the ThinkSystem DS4200 with SAS controller modules. The following figure shows the rear view of the ThinkSystem DS4200 with FC/iSCSI controller modules. The following table lists the ThinkSystem DS4200 specifications. Intermix of DS Series SFF and LFF enclosures is supported. Intermix of DS Series and D3284 enclosures is not supported. Storage capacity Up to 2 PB. Host connectivity DS4200 SAS controller module: 4x 12 Gb SAS host ports (Mini-SAS HD, SFF-8644). DS4200 FC/iSCSI controller module: 4x SFP/SFP+ host ports with two built-in dual-port CNCs (each port on the same CNC must have the same connectivity type; different CNCs might have different connectivity types). The following tables list the relationship models of the ThinkSystem DS4200. # Available only in Latin America. The following table lists the CTO base models for the ThinkSystem DS4200. For Relationship models, two DS4200 FC/iSCSI or SAS Controller Modules are included in the model configuration. For CTO models, two DS4200 FC/iSCSI Controller Modules (feature code AU2J) or DS4200 SAS Controller Modules (feature code AU2H) must be selected during the configuration process, and both modules must be of the same type - either FC/iSCSI or SAS (mixing of FC/iSCSI and SAS controller modules is not supported). DS4200 SAS Controller Modules provide direct SAS attachment for up to four hosts with a supported SAS HBA installed. Each DS4200 SAS Controller Module has four 12 Gb SAS ports with Mini-SAS HD (SFF-8644) connectors. DS4200 FC/iSCSI Controller Modules provide SAN based iSCSI or Fibre Channel connectivity to the hosts with a supported software initiator or HBA installed. Each DS4200 FC/iSCSI Controller Module has two built-in CNCs that have two SFP/SFP+ ports each for a total of four SFP/SFP+ ports per controller module. 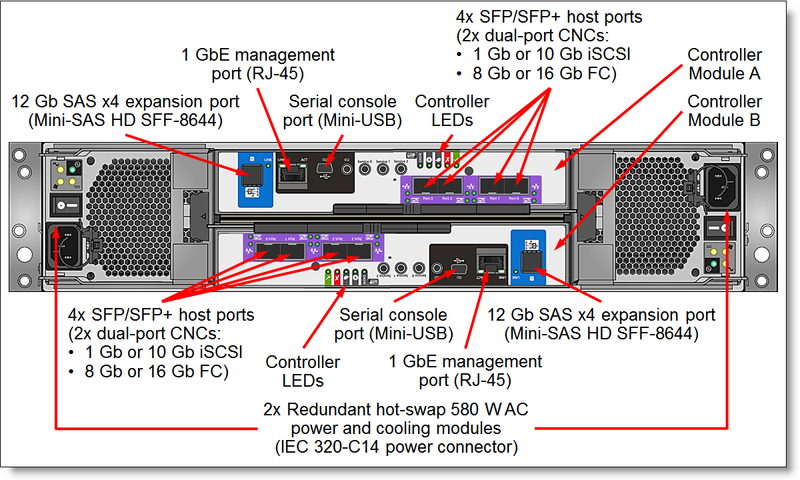 Both ports on the CNC on the DS4200 FC/iSCSI Controller Module must have the same connectivity type (the same type of SFP/SFP+ modules or DAC cables). Hybrid iSCSI and FC connectivity or 1 Gb and 10 Gb iSCSI connectivity is supported on a per CNC basis; that is, each of two CNCs on the controller module is configured with the different types of transceivers. Both controller modules in the system must be of the same type, and they must have matching port configurations (that is, the ports on both DS4200 FC/iSCSI controller modules must have SFP/SFP+ modules of the same type). *** Up to two cables per CNC with 1G RJ-45 modules attached, up to five cables per controller (one cable for 1 GbE management port connection; up to four cables for CNC port connections with 1G RJ-45 SFP+ modules installed). The ThinkSystem DS4200 can be upgraded to ThinkSystem DS6200 functionality by replacing the DS4200 controller modules with the DS6200 controller modules during a planned offline maintenance window without the need to migrate or move data. Upgrade kits are for field upgrades of the DS4200 controller enclosures; expansion enclosures cannot be upgraded. Only DS4200 SFF controller enclosures can be upgraded to DS6200. SFPs are not included with the FC/iSCSI upgrade kits; re-use the SFPs from the existing DS4200 FC/iSCSI controller modules or purchase required SFPs from Lenovo. The system model will change to DS6200, however, the machine type of the controller enclosure will not change (MT 4617). The ThinkSystem DS4200 supports attachment of up to nine ThinkSystem DS Series or up to three Lenovo Storage D3284 expansion enclosures. Intermix of DS Series LFF and SFF enclosures is supported. Intermix of DS Series and D3284 expansion enclosures is not supported. The enclosures can be added to the system non-disruptively. Note: The D3284 expansion enclosures shipped prior to March 2, 2018 support only JBOD connectivity; EBOD connectivity to the DS4200 storage systems is not supported. The D3284 expansion enclosures shipped on or after March 2, 2018 support JBOD and EBOD connectivity. Each ThinkSystem DS Series or D3284 expansion unit ships with two SAS I/O expansion modules. Each expansion module provides 12 Gb SAS connectivity to the internal drives, and it has three external 12 Gb SAS x4 ports (Mini-SAS HD SFF-8644 connectors labelled Port A, Port B, and Port C) that are used for connections to the ThinkSystem DS4200 and for daisy chaining the expansion enclosures between each other. The connectivity topology for the DS Series expansion units is shown in the following figure. The connectivity topology for the D3284 expansion units is shown in the following figure. The ThinkSystem DS4200 SFF chassis and the DS Series SFF expansion enclosures support up to 24 SFF hot-swap drives, and the ThinkSystem DS4200 LFF chassis and the DS Series LFF expansion enclosures support up to 12 LFF hot-swap drives. The D3284 enclosure supports up to 84 drives. The following table lists supported drive options for the DS4200 SFF chassis and the DS Series SFF expansion enclosures. The following table lists supported drive options for the DS4200 LFF chassis and the DS Series LFF expansion enclosures. Intelligent Real-time Tiering for HDDs: Storage tiering helps optimize storage use with intelligent data placement to improve system performance, reduce costs, and simplify management. The DS4200 automatically and dynamically moves frequently accessed data to higher performing HDDs in the system without manually creating and managing storage tier policies. The ThinkSystem DS4200 capabilities can be expanded with optional licensed functions. The replication is performed manually or at predetermined schedule with at least 60 minutes between consecutive runs. For ultimate flexibility, DS4200 asynchronous replication interoperates with the ThinkSystem DS2200 and DS6200, as well as Lenovo Storage S2200 and S3200. The following table lists the Feature on Demand (FoD) upgrades for the ThinkSystem DS4200 to enable optional software features. Each optional DS4200 function is licensed on a per-system basis and covers both controller enclosure and all attached expansion units. Asynchronous Replication requires an FC/iSCSI Controller-based DS4200 storage unit. Software maintenance for standard software features is included in the ThinkSystem DS4200 base warranty and optional warranty extensions, which provides 3-year software support with the option to extend it up to 5 years in 1-year or 2-year increments (see Warranty services and upgrades for details). Note: The ThinkSystem DS4200 must have active warranty coverage for the duration of an intended software maintenance extension period. The ThinkSystem DS4200 and DS Series enclosures have two redundant hot-swap 580 W AC power supplies, each with an IEC 320-C14 connector. The relationship models of the ThinkSystem DS4200 and DS Series enclosures ship standard with two 1.5m, 10A/100-250V, C13 to IEC 320-C14 rack power cables. The CTO models require the selection of two power cables. The ThinkSystem DS4200 and DS Series enclosures have a three-year customer-replaceable unit (CRU) and onsite (for field-replaceable units [FRUs] only) limited warranty with standard call center support during normal business hours and 9x5 Next Business Day Parts Delivered. Lenovo provides end-to-end storage compatibility testing to deliver interoperability throughout the network. The ThinkSystem DS4200 supports attachment to Lenovo ThinkSystem, System x, ThinkServer, and Flex System hosts by using SAS, iSCSI, or Fibre Channel storage connectivity protocols. Hybrid storage connectivity also is supported. Note: Tables that are provided in these sections are for ordering reference purposes only. End-to-end storage configuration support must be verified through the Lenovo ThinkSystem DS4200 Interoperability Matrix. 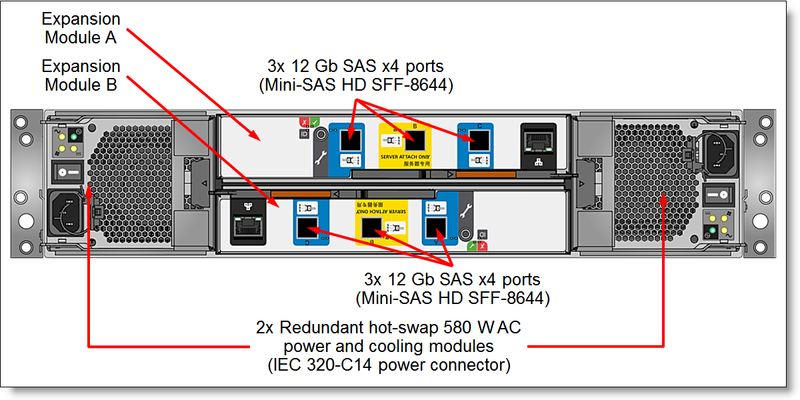 The following table lists currently available SAS adapters for Lenovo servers that are compatible with the ThinkSystem DS4200 SAS storage (direct attach). The ThinkSystem DS4200 supports iSCSI attachments via standard 1 Gb or 10 Gb Ethernet connections (direct or switch-based). Any compatible Ethernet switch, including Lenovo ThinkSystem and RackSwitch Ethernet switches and integrated Flex System Ethernet I/O modules, can be used to provide iSCSI connectivity for the ThinkSystem DS4200 storage. With software iSCSI initiators, any supported 1 Gb Ethernet or 10 Gb Ethernet adapter for Lenovo servers is compatible with the ThinkSystem DS4200 iSCSI storage. Currently available converged iSCSI adapters for Lenovo servers that are compatible with the ThinkSystem DS4200 are listed in the following table. Other converged iSCSI HBAs also might be supported (see the Interoperability Matrix for details). The ThinkSystem DS4200 supports direct FC attachments and FC switch-based attachments. Lenovo B Series and DB Series FC SAN switches and directors can be used to provide FC connectivity. Currently available FC adapters for Lenovo servers that are compatible with the ThinkSystem DS4200 FC storage are listed in the following table. Other FC HBAs also might be supported (see the Interoperability Matrix for details). The following table lists currently available Ethernet rack-mount switches that are currently offered by Lenovo that can be used with the ThinkSystem DS4200 for iSCSI storage connectivity. The following table lists currently available Ethernet embedded switches and pass-thru modules for Flex System that can be used with the ThinkSystem DS4200 for iSCSI storage connectivity. The following table lists currently available Fibre Channel rack-mount switches that are currently offered by Lenovo that can be used with the ThinkSystem DS4200 for FC SAN storage connectivity. The following table lists currently available Fibre Channel embedded switches and pass-thru modules for Flex System that can be used with the ThinkSystem DS4200 for FC SAN storage connectivity. The following table lists the rack cabinets that are currently offered by Lenovo that can be used for mounting the ThinkSystem DS4200 and other IT infrastructure building blocks. The following table lists the power distribution units (PDUs) that are currently offered by Lenovo that can be used for distributing electrical power to the ThinkSystem DS4200 and other IT infrastructure building blocks mounted in a rack cabinet. The following table lists the uninterruptible power supply (UPS) units that are currently offered by Lenovo that can be used for providing electrical power protection to the ThinkSystem DS4200 and other IT infrastructure building blocks.